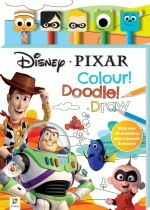 Read, learn and play with all your favourite Disney characters in any of Hinkler’s amazing Disney licensed products! Whether you’re a child or just a child at heart, Hinkler has the perfect Disney story book to bring a little bit of magic into your life! Hinkler’s wonderful world of colour and activity books and kits lets you join familiar and beloved characters on adventures through mazes, puzzle games, dot-to-dots and more! So what are you waiting for? 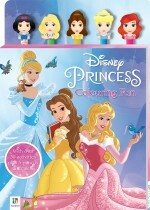 Join Lightning McQueen and Mater, Dory and Marlin, Anna and Elsa, Tinkerbell and her fairy friends, and of course, the Disney Princesses you know and love in a magic-reveal colouring adventure today! These beloved characters can do more than entertain your kids – they can encourage them to learn and grow! Hinkler’s Disney activity books and kits are full of games and puzzles designed to help kids develop their problem-solving skills in a fun and engaging way. Help Anna make her way through a maze, and sharpen motor skills along the way! Find out who Dory’s going to visit by completing a dot-to-dot, and reinforce counting skills! 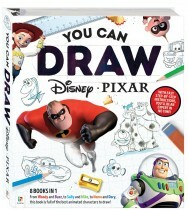 Disney books for kids are the perfect way to show kids that learning can be fun! 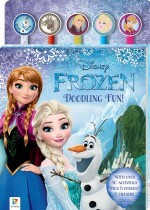 Hinkler’s Disney INKredibles sets provide maximum fun with minimum mess! Just add water to the pages of our Water Wonder books, and watch them come to life in a rainbow of colours! Or use the special markers with our Magic Ink and Invisible Ink books to colour the scenes, solve the puzzles and complete the activities, all in amazing colours and patterns with absolutely no mess!